Our Site is owned and operated by Wyvern Enterprises Ltd, a limited company registered in England under company number 07726279. Registered address: Kilver Court, Kilver Street, Shepton Mallet, Somerset, BA4 5NF. 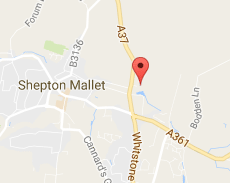 Main trading address: Kilver Court, Kilver Street, Shepton Mallet, Somerset, BA4 5NF. - other publicly available personal data, including any which you have shared via a public platform (such as a Twitter feed or public Facebook page or post). This list is not exhaustive and, in specific instances, We may need to collect additional data for the purposes set out in this Policy. Some of the above personal data is collected directly, for example when you set up an account on Our Site, or send an email to our company. Other personal data is collected indirectly, for example your browsing activity, further details provided in Part 14. We may also collect personal data from third parties who have your consent to pass your details to us, or from publicly available sources. We also receive personal data from trusted third parties who provide services to our customers under the Sharpham Park Partnership. If you subscribe to the mailing list or become a member of the Friends of Kilver Court We may collect data directly from you, as well as analysing your browsing and purchasing activity, both on-line and in store, and your responses to marketing communications. The results of this analysis, together with other demographic data, allows us to ensure that We contact you with information on products and offers that are relevant to you. To do so, We use software and other technology (automated processing). With your permission and/or where permitted by law, We may also use your personal data for marketing purposes, which may include contacting you by email, telephone, text message, or post with information, news, and offers on our products or services. We work with the intention of fully protecting your rights and comply with our obligations under the GDPR and the Privacy and Electronic Communications (EC Directive) Regulations 2003, and you will always have the opportunity to opt-out. We will not retain your data for longer than is necessary for the purposes set out in this Policy. We aim to keep your personal data for use in respect of marketing communications for as long as you continue to interact with us (for example, if you visit our website or read or click on an email We send you, or attend an event We host). If We do not have any interaction with you for three years, We will endeavour to contact you to see if you still want to receive marketing communications. If We do not hear from you (or if you tell us, at any time, that you no longer want to receive communications) then We will delete your personal data from our records. There may be some personal data We only need to collect in order to provide you with a particular service. We will delete such personal data as soon as the relevant service has been completed. We may still retain your preferences about the way the service was delivered so that We can improve your experience next time. Where you unsubscribe from our marketing communications, in order to demonstrate that you have been unsubscribed We will add your email address to our exclusion list and will not contact you again. We will also delete any additional information that We hold about you. We will only store or transfer your personal data in the UK. This means that it will be fully protected under the GDPR. We store your information in a secure marketing database hosted by a third party which We use to also generate our email marketing campaigns. We take reasonable and appropriate measures to protect personal data from loss, misuse and unauthorized access, disclosure, alteration and destruction, taking into account the risks involved in the processing and the nature of the Personal Information, however, please note that no system is ever completely secure. In order to make certain services available to you, We may need to share your personal data with some of our service partners. These include IT and marketing service providers to provide customer insight through the analysis of data and to collect personal data on our behalf. We store your information in a secure marketing database hosted by a third party which We use to also generate our email marketing campaigns. We only allow our service providers to handle your personal data when We have confirmed that they apply appropriate data protection and security controls. Aside from our service providers, We will not disclose your personal data to any third party, except as set out below. We will never sell or rent our customer data to other organisations for marketing purposes. 11.1 In addition to your rights under the GDPR, set out in Part 5, when you submit personal data via Our Site, you may be given options to restrict our use of your personal data. In particular, We aim to give you controls on our use of your data for direct marketing purposes (including the ability to opt-out of receiving emails from us which you may do by unsubscribing using the links provided in our emails and, at the point of providing your details). All subject access requests should be made in writing and sent to the email or postal addresses shown in Part 15. To make this as easy as possible for you, a Subject Access Request Form is available for you to use upon request. You do not have to use this form, but it is the easiest way to tell us everything We need to know to respond to your request as quickly as possible. These cookies collect information in an anonymous manner about how visitors use Our Site and how Our Site performs. These cookies allow us to recognise and count the number of visitors and help us understand which pages are the most popular and where visitors spend most of their time. These cookies allow us to deliver advertisements that are relevant to you and your interests. They may be used by us and our advertisers to build a profile of your interests and show you relevant advertisements on other sites. These cookies may track whether you clicked on an advertisement in order to limit the number of times you see a particular advertisement and help us understand the efficacy of our advertising campaigns. They do not directly store personal information, but uniquely identify your browser and device. If you do not allow these cookies, you will experience less targeted advertising. To contact us about anything to do with your personal data and data protection, including to obtain a subject access request form or to make a subject access request, please use the following details (for the attention of the Facilities Manager): Email address: operations@kilvercourt.com. Telephone number: 01749 340 439. Postal Address: Kilver Court, Kilver Street, Shepton Mallet, Somerset BA4 5NF.